Our core business is the implementation of comprehensive M&A projects in close connection to diverse financing options. Highly experienced corporate finance specialists with investment banking background and proven track records offer independent equity and debt financing as well as M&A advisory. We have a unique network of mid-cap private equity firms and family offices as well as other highly recognized corporate finance partners in Europe. H.C.F. Hanse Corporate Finance is a corporate finance advisory focused on medium-sized companies and private equity firms. 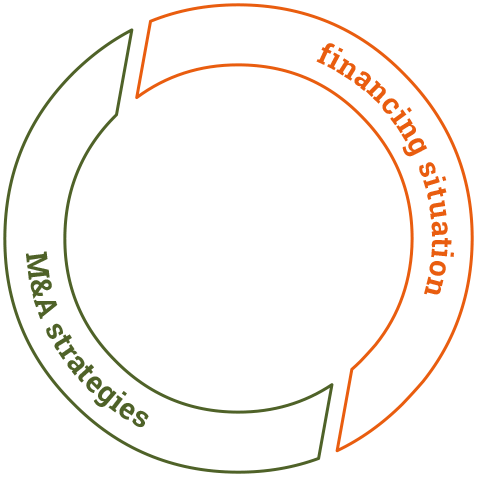 Our core business is the implementation of comprehensive M&A projects in close connection to diverse financing options. Highly experienced corporate finance specialists with investment banking background and proven track records offer independent equity and debt financing as well as M&A advisory. We have a unique network of mid cap private equity firms and family offices as well as other highly recognized corporate finance partners in Europe.